Gail Acton is an international speaker, author, advocate and entrepreneur with 30 years of business experience. Please find resume here. Community Care Solutions offers front line services for seniors, and community capacity building on issues of elder abuse, social isolation and Elder Care Solutions of housing, care providers, and volunteer programs. CCS Village is an innovation of housing and care needs, with a social benefit of inclusion and ageing in place for Canadians providing sustainable practices to meet the future continuing care and housing needs of an ageing population. Within our community Abigail Housing provides flex, shared and affordable housing. 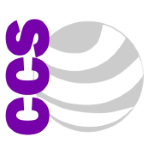 CCS CARE CO is a US company offering online education and workplace training for Canada and Internationally, and offers the Certified Caregiver/PSW and the National Association of Certified Caregivers/PSWs, both developed by Gail A. Acton. The ONLINE home studies from CCS CARE CO provide DIPLOMA programs that are accessible and flexible, allowing people to fit their education into their own schedule. Online diploma programs also often teach skills that can benefit both your personal and professional life, including knowledge of complex subjects, ability to communicate with diverse people, and ability to apply training in various careers. The Certified Caregiver/PSW is offered online in many countries as well as Canada for Front Line Health Care Workers because of Ms. Acton’s dedication to quality and cost efficiency of education.